PORTLAND, Ore. – (April 23, 2018) – Dale Coyne Racing is now relying on Western Star 5700XE trucks to haul its Verizon IndyCar Series race cars from race to race. 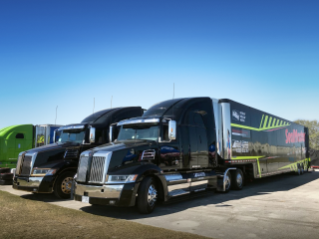 As the Official Truck of Dale Coyne Racing, three Western Star 5700XE models are responsible for ensuring the team’s Indy cars, mobile shops and spare parts arrive safely and on time at every Verizon IndyCar Series event. 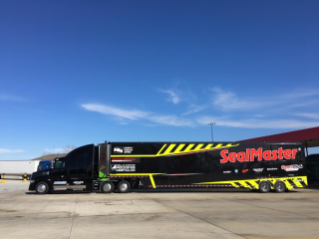 "We have looked at many different trucks over the past couple of years. Choosing Western Star was easy,” commented team owner Dale Coyne. "Their trucks are modern looking, very well engineered and get great fuel economy, and we couldn't be happier running Western Star as our official trucks in this high-tech and demanding world of IndyCar racing." The team’s 5700XE tractors feature 68-inch High Roof Stratosphere sleepers, Detroit™ DD15® engines, Detroit DT12™ automated manual transmissions, Detroit front and rear axles, and a full exterior aerodynamics package. Western Star’s most fuel-efficient truck, the 5700XE features advanced engineering and sleek styling that contributes to improved efficiency and profitability. Premium interior features and roomy, comfortable sleepers further contribute to the overall driver experience. For more information about Western Star, go to www.WesternStarTrucks.com.